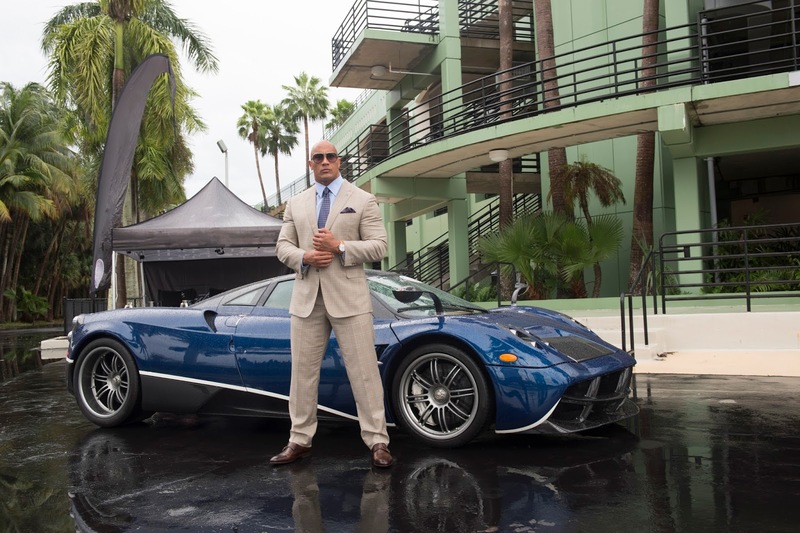 If you missed the most recent season of the HBO hit comedy series BALLERS when it was broadcast over the summer, you can catch up on Season 2 now as it will be available to own on Digital HD beginning Monday, October 24, 2016. The complete season download includes all ten Season 2 episodes, plus Inside the Episodes features at select retailers that take viewers behind the scenes of the show. With Digital HD you can stream the show's episodes to your television, view them on a computer, or watch from a mobile device whenever is convenient for you. The series revolves around former Miami Dolphins stand-out Spencer Strasmore, played by Dwayne Johnson (AKA The Rock from the WWE) who is coping with the realities of life after football. He reinvents himself as a financial manager for professional athletes in sun-soaked Miami. Drama and hilarity ensue as Strasmore mentors other current and former players through the daily grind of the business of football. In Season 2 of BALLERS, things are getting more competitive and complicated for Spencer. As the lines between professional and personal blur in his pursuit of lasting success and glory, he must face demons from the past when he goes head-to-head with the biggest business manager on the scene. Heralded by critics for Johnson’s “movie-star charisma” (The Hollywood Reporter) and co-star Rob Corddry’s “hilarious” performance (TV Overmind), BALLERS is a must-see comedy for football fanatics and TV junkies alike. Compliments of HBO, A Geek Daddy has a digital code to download all of Season 2's episodes of BALLERS to giveaway to one lucky winner. To enter this giveaway you must follow @Geekdad248 on Twitter and retweet our original contest tweet embedded below before October 23, 2016 @ 11:59 pm ET. To be eligible for the giveaway entrants must be a US resident over the age of 18 to participate. .Prizing is courtesy of HBO. A Geek Daddy will email the Digital HD code to a randomly selected winner. The selected winner must provide a valid email to redeem the digital download code and redemption of the prize will be the only use of provided email. Winner is subject to eligibility verification. By participating in this promotion you waive any liability of any kind against the publisher of this blog. A Geek Daddy received a digital download of Season 2 of BALLERS for personal use as compensation for sponsoring this promotion. A Geek Daddy is providing this giveaway contest as a benefit to our readers and social media follower.